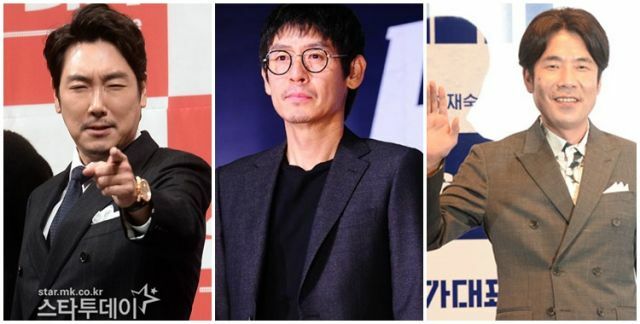 Cho Jin-woong, Seol Kyeong-goo, Oh Dal-soo in "Mongyudowondo"
Cho Jin-woong, Sol Kyung-gu and Oh Dal-soo are starring in the movie "Mongyudowondo". According to sources, director Jo Cheol-hyeon is in charge and the movie cranks in next March. The movie is invested and distributed by CJ Entertainment. "Mongyudowondo" is a famous painting by Ahn Kyeon in 1447, drawn on silk with Indian ink. This painting is currently in Jungang Library. General Ahn Pyeong, who was the sole supporter of Ahn Kyeon, described a dream to him and told him to paint this piece of art. According to the postscript written by Ahn Pyeong, this painting was completed in 3 months. "Mongyudowondo" is the first movie about its subject and anticipation is slowly increasing. "Cho Jin-woong, Seol Kyeong-goo, Oh Dal-soo in "Mongyudowondo""